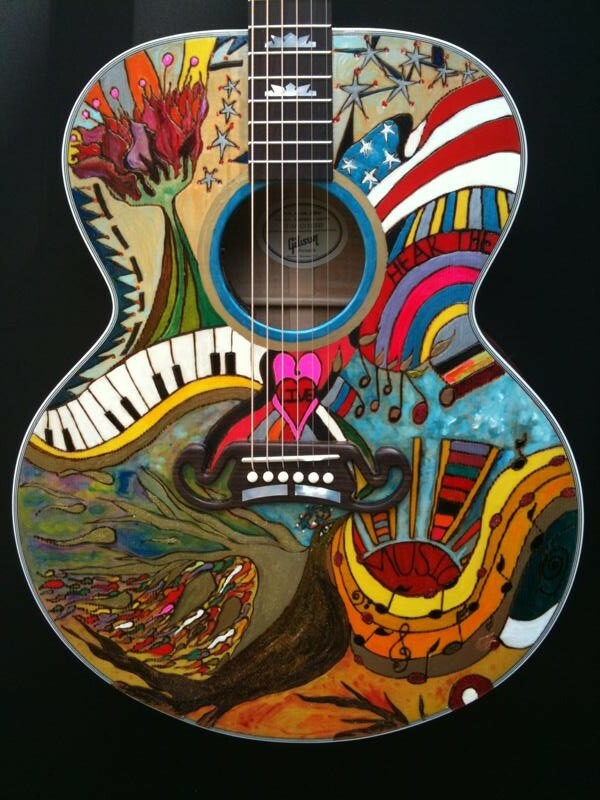 Hear the Music Live, a non-profit organization that sends foster youth and teens to concerts nationwide, will be auctioning off a very special Gibson J200 painted by Nashville artist, Mandy Lawson and signed by Country music’s hottest stars on eBay Giving Works, November 9-19 2010. Check it out and tell your friends! Check it out and invite your friends on facebook!